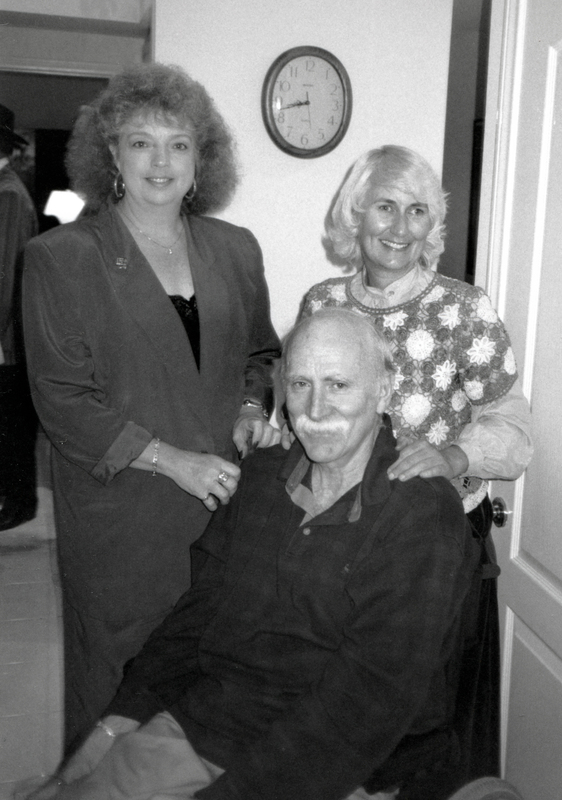 Arthur Gerard (Art) Donnelly, chairman of the Santa Clarita City Formation Committee, with wife Gloria (Glo) Donnelly, left, and then-City Parks Commissioner Laurene Weste in 1995 or 1996. As campagin co-chairs, Art, an insurance agent who was active in the SCV Chamber of Commerce, and Glo, a Realtor, were responsible for raising money for the cityhood campaign (Proposition U on the November 1987 ballot). Art succeeded Carl Boyer III as chairman of the Santa Clarita City Formation Committee when Boyer decided to run (successfully) for the first City Council on the same ballot. Art (June 16, 1942 - Nov. 4, 2007) was permanently wheelchair-bound in 1994 when he fell from a second-story balcony and injured his neck and spine. Boyer selected Weste for the Santa Clarita Parks, Recreation and Community Services Commission when the council created the commission in 1988. She won her own City Council seat on her second try in 1998 and served as mayor in 2001, 2006, 2010 and 2014. LW9502: 19200 dpi jpeg from original photograph (BW film print) by Leon Worden.